Yorkdale Dufferin Mazda | Blog | Looking For a Used Car? Visit Yorkdale Dufferin Mazda Today! Looking For a Used Car? Visit Yorkdale Dufferin Mazda Today! Everybody is excited to spend time outdoors after a long and cold winter. Whether you need to get around downtown or trek outside the city limits to get away from the urban core, there’s nothing like the feeling of freedom you get cruising down the open roads with the spring air through your windows. Buying a used car is a great way to get this same freedom, and get a great deal on a car. Come to Yorkdale Dufferin Mazda to see all the cars in Mazda’s Certified Pre-Owned program, which is the surest way to finding a used car you’ll love driving for years. 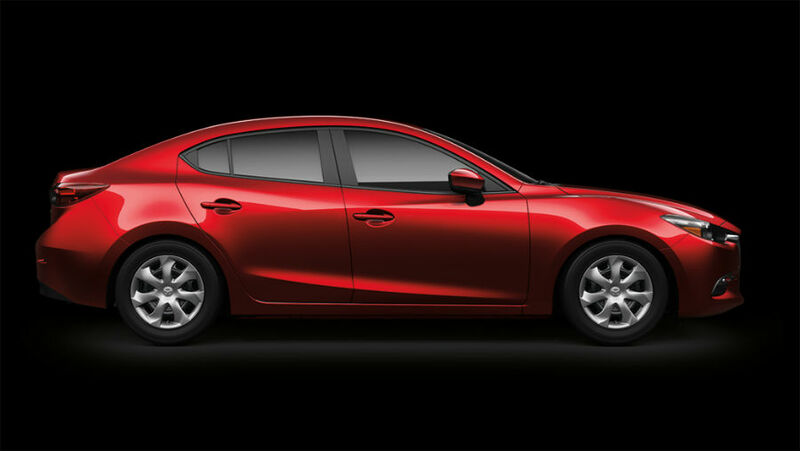 Yorkdale Dufferin Mazda has a wide range of Mazda Certified Pre-Owned models from many years. Whether you want the Mazda3 sedan or the 5-door hatchback, the rugged yet graceful CX-5 Crossover SUV, or the legendary Miata convertible, you’ll see that our selection of Mazdas has a model for everybody. Feel free to drop by the dealership to see them for yourself and even go on a test drive, or you can check what’s in stock from the comfort of your own home. You’ll love our every day low prices and our monthly deals on Mazdas even more. Every vehicle in Mazda’s Certified Pre-Owned program has undergone a thorough 160-point inspection by a factory-trained technician. It’s better to have the people who build the cars in the first place inspect them, rather than just a mechanic. Ensuring that the parts in the car work properly is the prudent thing for anybody who is buying a used car to do, but Mazda feels strongly enough about it to take it on themselves. It’s essential to know that the car works properly at the time of purchase, but to give you even more assurance, every car in the Certified Pre-Owned program automatically comes with a limited 7-year or 140,000-kilometre warranty (whatever comes first). Because the coverage applies automatically to every car in the program, you don’t need to agonize over whether it’s more cost effective to pay for coverage yourself or risk paying for any repairs out of pocket. It’s not often that you can drive off the lot with a used car, knowing that the dealership will repair or replace every covered part for years down the road! Mazda stands by their cars and by the technicians who perform the inspections, making it possible for you to keep your pockets full with a used Mazda today and years from now. When you buy from the Certified Pre-Owned program, for the entire duration of the warranty period you also get emergency roadside assistance. These services include jump-stars, flat tire changes, gas delivery, lock-out assistance and trip planning. Sometimes the road is unpredictable, and if you need help, Mazda will even tow you to the nearest authorized dealership (up to 100 kilometres) for any warranty-related, covered parts. Mazda does everything possible to make sure your used car works properly at the time you buy it, and for years down the road — even if you encounter a problem while driving that has nothing to do with the manufacturer, Mazda still has your back. The Mazda Certified Pre-Owned program takes all the risk out of buying a used car, so all you need to do is get great value and love driving your vehicle.